A map of Bessemer City. Image courtesy of the Bessemer City History and Arts Society. Bessemer City's first textile mill was founded prior to 1895 and located at this site. Over 75 houses were constructed for mill employees. Image courtesy of the Bessemer City History and Arts Society. Incorporated in 1897, Bessemer City Cotton Mills was the city's second textile mill. This building was constructed in 1902. Image courtesy of the Bessemer City History and Arts Society. 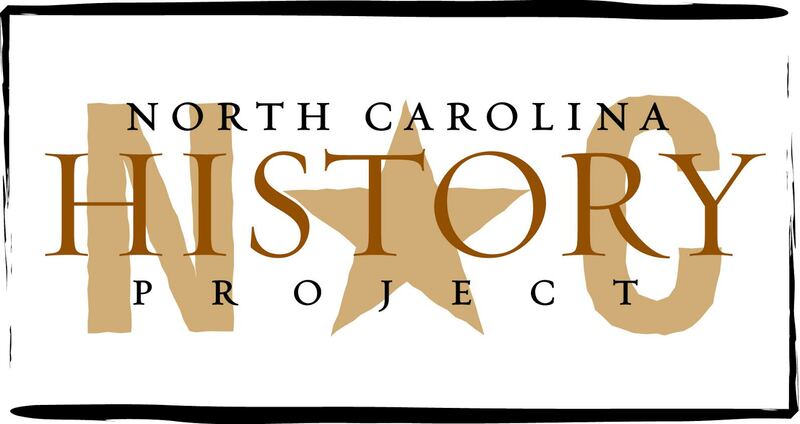 In the mid-1700s, Europeans looking for arable land started settling in modern-day Gaston County.Â Many arrived with land grants from King George II (1683-1760) or migrated from other colonies, such as Pennsylvania and Maryland.Â The areaâ€™s natural resources attracted skilled laborers, such as miners, lumberjacks, and farmers. Because iron ore and gold could be easily extracted, mining quickly became one of Bessemer City regionâ€™s most profitable businesses.Â In 1754, James Ormand, one of the areaâ€™s earliest European settlers, received a land grant from King George II and settled in the Bessemer City region.Â He started the Ormand Mining Company to produce ore. Â Today, the Old Ormand Furnace is one of the oldest remaining furnaces in the country and a historic monument.Â In 1760, John Fulenwider moved from Switzerland to High Shoals, an area neighboring Bessemer City.Â Like Ormand, he also started a company, called High Shoals Iron works and capitalized on the areaâ€™s natural resources.Â High Shoals produced much of the nationâ€™s iron and earned a reputation for producing some of the highest-quality iron in America.Â High Shoals also produced iron used to manufacture weapons during the American Revolution (1775-1783).Â When Fulenwider died in 1826, he owned over 20,000 acres in the Bessemer City region. In 1846, a portion of Lincoln County was renamed Gaston County.Â (Tryon County was formed in 1768 and named after Royal Governor William Tryon.Â However, during the American Revolution the North Carolina General Assembly severed all ties with Great Britain andÂ in 1779Â formed Lincoln and Rutherford counties out of Tryon County. )Â During the late 1840s,Â corn and cotton were the regionâ€™s two main crops.Â Whiskey production was also profitable; Gaston County had more licensed whiskey distilleries than any county in North Carolina.Â The countyâ€™s population and industry continued growing.Â In the mid-1800s, the Richmond & Danville Railroad Company laid track in Gaston County, and in 1871, the Atlanta & Charlotte Division of the company continued laying tracks throughout the county.Â Laying the track through Whetstone Mountain, located west of modern-day Bessemer City, was considered a great engineering accomplishment. The railroad not only stimulated the growth of industry in the region but also population growth.Â With more employment opportunities, people increasingly moved to the area.Â In 1891, John Askew Smith moved with his wife Fannie and brother-in-law, John A. Pinchback, to Gaston County.Â They had previously resided in Reidsville, North Carolina.Â Smith purchased 1,700 acres and wanted to establish a town on to the east of Whetstone Mountain.Â By 1893, Smith and other residents petitioned the North Carolina legislature to incorporate the town.Â On March 6, 1893, Bessemer City was officially chartered.Â Smith hired W.R. Richardson, an engineer from Guilford County, to lay out the town. When Bessemer City was chartered, only a few families lived in the town.Â By 1900, the population had grown to almost 600.Â It was not until 1924 that extensive grading for roads, sidewalks, and underpasses was available for Bessemer City.Â New roads and technology enabled the city to continue growing.Â In 1924, John Smith constructed the Southern Cotton Mill, the townâ€™s first mill.Â Since then, Bessemer City has been known as a textile town.Â However, other industries have also made their home in Bessemer City.Â The FMC Lithium Plant, constructed in the 1950s, provides employment for many of the townâ€™s residents.Â At the end of the twentieth century, the Lithium Plant produced over seventy lithium chemicals and derivatives that were sold to approximately 1,200 customers around the world.Â The industrial park also attracted several major industries, including a Dole salad processing plant, scheduled for opening in 2007. Charllotte Crawford, Hilda Gunst, Enid Kiefer, and Elizabeth Thornburg, eds., Centennial 1893-1993: Bessemer City, North Carolina (Charlotte, 1993).